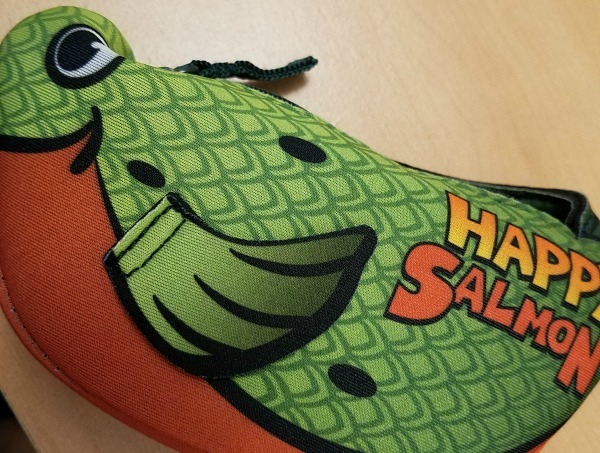 Happy Salmon is a new card game from North Star Games. It is a simple and fast paced card game that can be played by the whole family. Each player picks a color and gets those stack of cards. You then turn over your card and yell out the action card. If there is a match you do that action with the other player. Then discard that action card. The first player to match their cards wins. This is cute and funny. My daughter has also been using it as a matching game in her own way. This game comes in a salmon traveling case. You can bring it with you to play dates or parties. Kids will certainly get a kick out of it. I was thinking what if the adults used it for a drinking game. That might be funny to watch too! These days its refreshing to see new card games and board games coming out. I'll be the first to admit we are a little too connected to the internet. So go on and pick this game up. 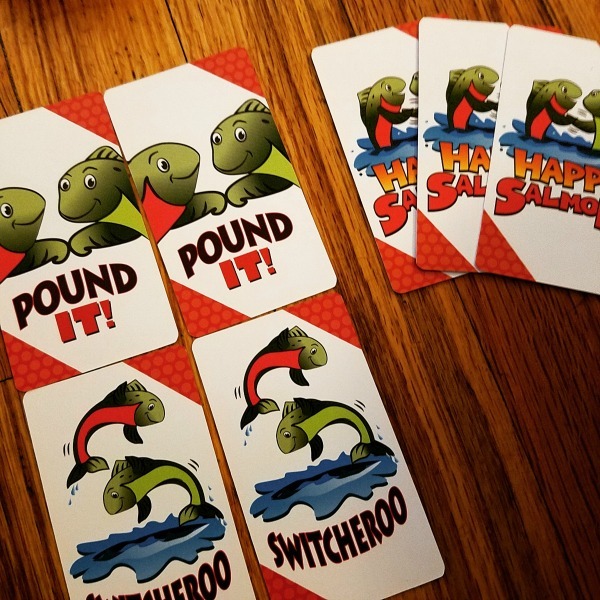 Play it during family game night.